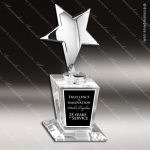 An Elegant Crystal Chrome Accented Star Tower Trophy Award. Personalized with the message of your choice, it will surely become a treasured keepsake for the recipient. Imagine the expression of the person when they see their name on one of these impressive awards. Engraving is laser etched and a velvet lined presentation gift box is included. 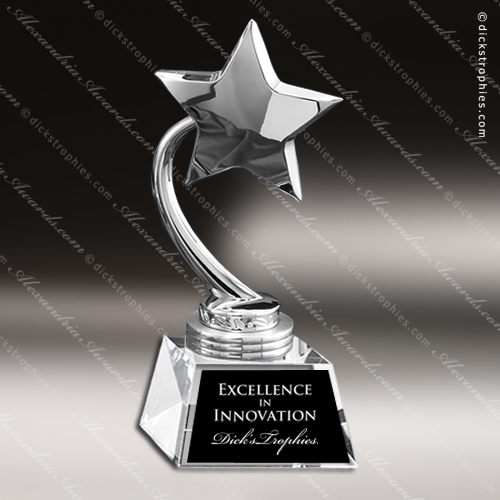 A Beautiful Crystal 3-D Circle Award on Clear Crystal Base makes an excellent employee recognition award, achievement award, sales award or customer appreciation award. Personalized with the message of your choice, it will surely become a treasured keepsake for the recipient. Imagine the expression of the person when they see their name on one of these impressive awards. Engraving is laser etched and a velvet lined presentation gift box is included. 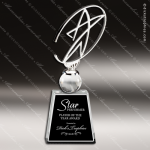 An Elegant Thick Crystal Rising Star Award. Personalized with the message of your choice, it will surely become a treasured keepsake for the recipient. Imagine the expression of the person when they see their name on one of these impressive awards. Engraving is laser etched and a velvet lined presentation gift box is included. 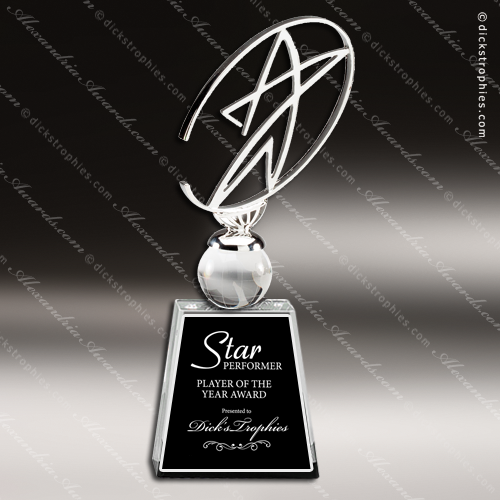 An Elegant Silver Plated Star mounted of Clear Crystal Base. Personalized with the message of your choice, it will surely become a treasured keepsake for the recipient. Imagine the expression of the person when they see their name on one of these impressive awards. Engraving is laser etched and a velvet lined presentation gift box is included. 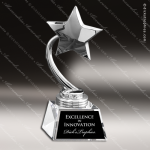 Elegant Action Star Metal Sculpture On Crystal Base. Personalized with the message of your choice, it will surely become a treasured keepsake for the recipient. Imagine the expression of the person when they see their name on one of these impressive awards. Engraving is laser etched and a velvet lined presentation gift box is included. 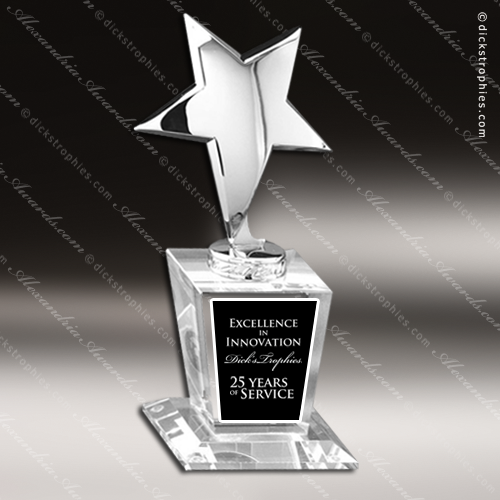 An Elegant Crystal Shooting Frosted Star Award. Personalized with the message of your choice, it will surely become a treasured keepsake for the recipient. Imagine the expression of the person when they see their name on one of these impressive awards. Engraving is laser etched and a velvet lined presentation gift box is included. An Elegant Crystal Shooting Star on Crystal Base. Personalized with the message of your choice, it will surely become a treasured keepsake for the recipient. Imagine the expression of the person when they see their name on one of these impressive awards. Engraving is laser etched and a velvet lined presentation gift box is included.